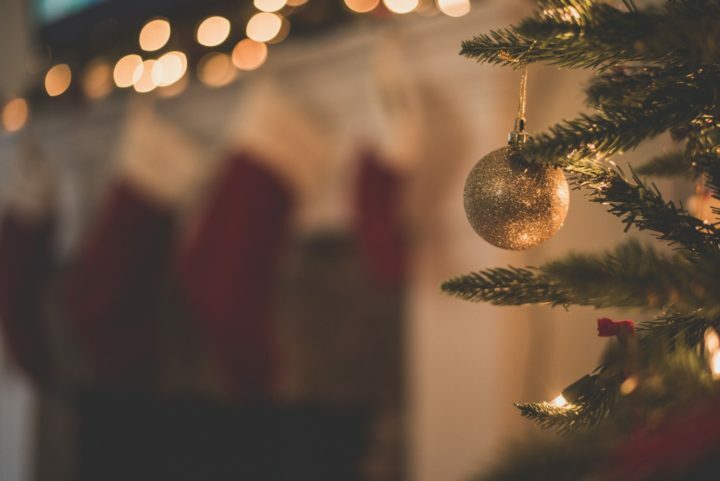 It might be too soon to start celebrating the holidays, but it's not too soon to give a little thought to a few small things you can do now to prepare for the best holiday season yet. Nevertheless, it's not a bad idea to spend a little time in the early fall thinking about and planning ahead for the holidays. While it might be a little early to get the holiday decorations out, still there are a few things we can do now to help make the holidays less stressful and more joyful. Why do holidays bring stress? We want to make the holidays special. Nothing wrong with that. But that often means a lot of events get added to the schedule. While they are fun, they can add to the stress level. In addition to money, other sources of stress might be: feeling overwhelmed and overbooked, family conflict, and feeling sad when everybody else is cheerful. Not everyone is happy during the holidays. How can we get a head start on preparation for the holidays and make the season less stressful? I came up with ten things we can do to prepare now, including some ideas I collected from online sources and from the TPW community. How realistic is your list (keeping in mind daily commitments, stage of life you’re in, etc.)? What can you cut from the list and still have the kind of holiday season you want to have? What can you move around or change now to set yourself up to have the time and energy you need to do the things you actually want to do? 2. Develop a budget for the holidays. Think about how much money you're willing to set aside for each person you want to give a gift to. Having a budget written down now might help you resist the urge to overspend as the holidays get closer. If the budget is an issue, take steps now to avoid uncomfortable situations during the holidays. Talk to extended family about skipping gifts, or giving gifts only to the children, or drawing names and setting a cap on the amount (so nobody feels embarrassed because somebody else gave a more extravagant gift). Check out Choose to Save's “Planning Ahead for the Winter Holiday Season” for some tips on creating a holiday budget. The steps above will help make it easier for you to get your holiday shopping sooner rather than later. If you have the list of people you want to give gifts to and then brainstorm ideas for gifts for each, you’ll have it top-of-mind when you’re out and can be watching for those perfect gifts and watch for sales on the things you want to give. Ayrika said, “We have small kids. We do Christmas layaway early, so we won't get tempted to use credit cards closer to Christmas day. I love Georgy's idea of shopping the smaller local stores–much easier to do if you plan ahead and start early. Cluttered space contributes to anxiety and to a lack of focus. On the other hand, a clean, clutter-free space helps lead to a more relaxed and peaceful frame of mind. In addition to the pleasure that comes from having a peaceful, decluttered home, getting rid of the “extra” stuff will also make space for the new stuff that invariably comes at the holidays. Clean out refrigerator and pantry well before it’s time to do holiday cooking; non-perishables that you won’t use could be donated to a food pantry. Declutter kids rooms and find things to discard or donate. This might be a new holiday tradition of choosing gently used toys to donate to a shelter. Get the kids involved. Declutter and refresh bathrooms that might be used by guests during holiday parties (same with guest room). Declutter master bedroom and make it a refuge for you during the busy holiday season. Clean out a closet or space for gifts, wrapping paper, etc., as you buy them. If you have the space for it, you could even set up a gift-wrapping station where you have everything you need at hand to wrap gifts. If you think about holiday meals ahead of time, are there any dishes or treats you traditionally serve that can be made ahead and frozen? Or things you can have in the freezer and pull out to take to a party or serve unexpected guests? My oldest daughter loves Christmas and every year she does a bunch of baking and puts together pretty boxes filled with homemade treats. It's one of the most eagerly anticipated Christmas gifts in our family. You could start doing some of that now. 6. Make reservations for holiday travel. I love this idea, which came from Emma in the TPW Community Facebook group. She said, “I buy all of the travel in August or September so I can get nonstop flights (essential for me for little kid travel when possible).” Seats on airlines and other transport options fill up during the holidays, as do hotels, so making those reservations now might help you get the seats or rooms you want–and maybe at a better price. 7. Plan some fun events for yourself and your family. Now might be a great time to start investigating the options for memory-making family activities during the holiday season. What does your community offer? What special sights are available near where you live? Several members of the TPW Community use this approach. Alison said, “One thing I hope to do in the next month is plan some fun holiday activities/outings. I'm going to check all the surrounding areas and compile a list of festivals/parades, attractions we can enjoy to really get the most out of the season. 8. Get a jump on your holiday cards or letter. One secret to a joyful, lower-stress holiday season might be giving a little thought now so we can plan to manage expectations. If there is something we’ve always historically done, but we decide not to do it, we can start to let others know we are going to do things a little differently. It’s better to talk about it now than to drop a bomb and not meet expectations. 10. Make personal time and self-care a priority, even during the holiday season. Include some time for self-care–schedule your holiday-time appointments (hair? nails? massage? brunch with a beloved friend?) now. Can you add to our list of pre-holiday prep? Share your suggestions in the comments section below or in The Productive Woman Community Facebook group, or email me! Special thank you to Ayrika, Alison, Georgy, Emma, Arianna, Shannon, Joyce, and Joanne for sharing tips in the FB group. I would love to hear your tips as well–maybe we’ll do another episode in a few weeks addressing the holiday routines and traditions you follow. As this episode is being published we are choosing the next book for The Productive Woman Book Club, and we'll start reading and discussing it in October. If you're interested, jump over to the TPW Facebook group and join us! I was listening to this tonight on my way to choir rehearsal. Imagine my delight when I heard you mentioned Retro Housewife Goes Green. That’s my daughter’s blog! Like the daughter you mentioned, my Lisa loves Christmas. She decorates the day after Halloween. This was a great episode. I’ve got a Christmas pre-planning blog post in the works and I’ll be sure to include a link to this podcast. Can’t wait for your next holiday prep podcast. I’m determined to get things done early this year. I already ordered my Christmas cards last week so that’s a good start. What a funny coincidence! I found the Retro Housewife Goes Green blog when I was researching the episode and very much enjoyed reading that post and some others. I’m glad you enjoyed the episode. Please be sure to let me know when your Christmas pre-planning post is published; I’d love to share it with the TPW community.